Certificate of Excellence for the last 5 years! 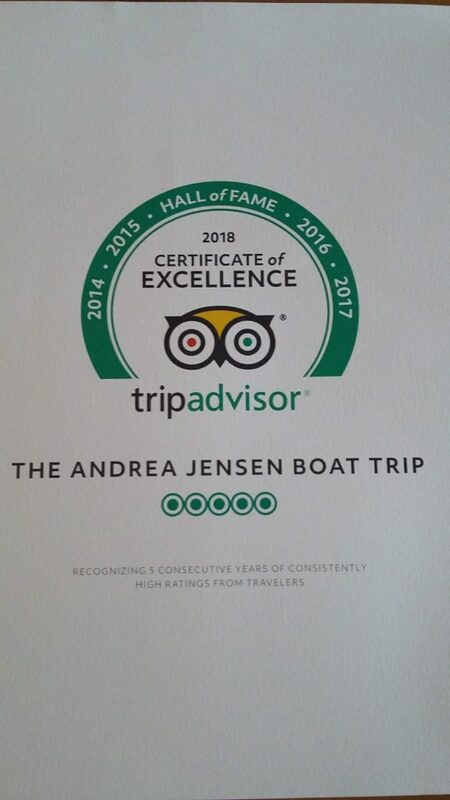 Andrea Jensen Sailing does it again, winning the Trip Advisor Certificate of Excellence! Previous PostPrevious Don’t miss out…Book Now www.ajsailing.com … for an exclusive day trip on Andrea Jensen Sailing!